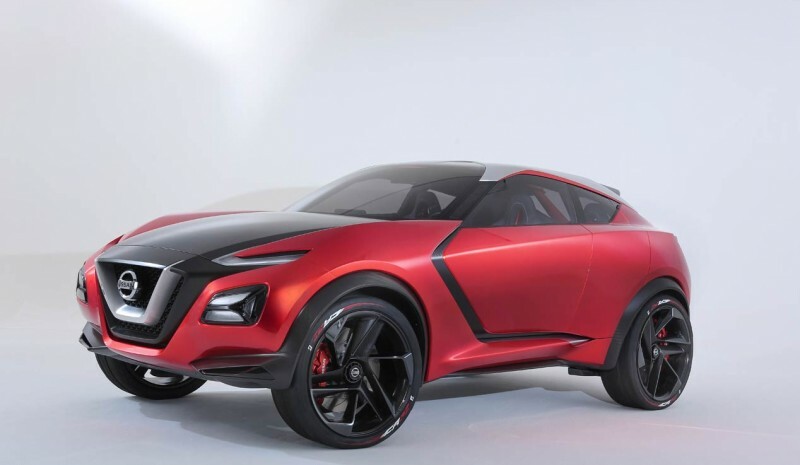 Just over six years after the presentation of Qazana concept that gave rise to the current Juke, Nissan is looking to repeat the strategy with the Gripz. Like that, the concept SUV segment B Japanese brand now presents in Frankfurt offers an attractive and innovative design. "After Qashqai and Juke, this is our answer to the innovative direction that we can take in design. We want to see how far we can go, explore places they have not reached the crossover point, "he says Giovanny Arroba, Senior Creative Manager of Nissan Design Europe (NDE). But they do not rule out that the new Juke to be expected by the end of next year or early next has much resemblance to him. 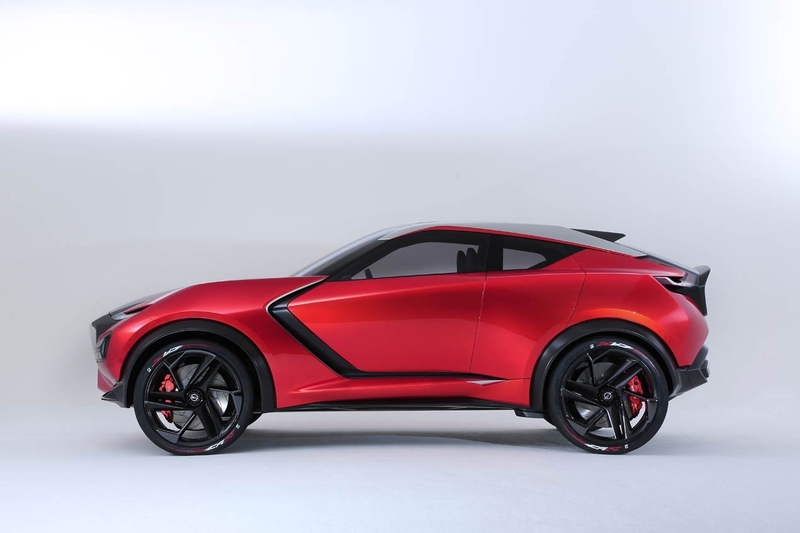 With some dimensions are very similar to those of Juke, 4.10 long (4 cm less), 1.50 high (Juke 1.57) and 1.89 wide (12 cm higher than the current SUV) It offers a radical design with a silhouette halfway between an SUV and a sports car, with a roofline which falls as a coupe. 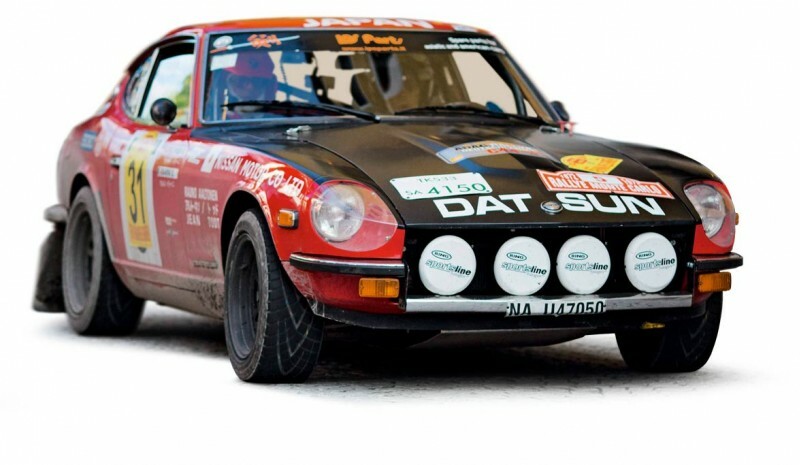 Dressed in a striking red-orange called Volcanic Vermillon color, pays tribute to the legendary Datsun 240Z Rally early 70s. Many carbon fiber in view logically to reduce weight, but "Also he is according Arroba- to show a sharp contrast between body color and other surface finishes transmitting a strong iconography ". The influence of Sway (utility prototype that will give rise to new Micra presented in Geneva) it's undeniable. The Gripz contains many DNA elements shown therein, as the grill in V or boomerang-shaped lights, also it built on the platform B. But not much more, because this was a utilitarian and this SUV. While the exterior of Gripz has been designed in Europe Design Center in London, the interior has been entirely created in Japan. In it, simplicity is the main feature. A very clear and clean look, combining the color range used in the exterior, gray-mate and red-orange. The main source of inspiration for the vehicle have been racing bikes. On the other hand, having no B-pillar (which also included the Qazana at source) the Gripz is accessible faced with a system of -the front door opens as élitro-. The front seats are quite spacious, the rear, with capacity for two occupants, are not so much. 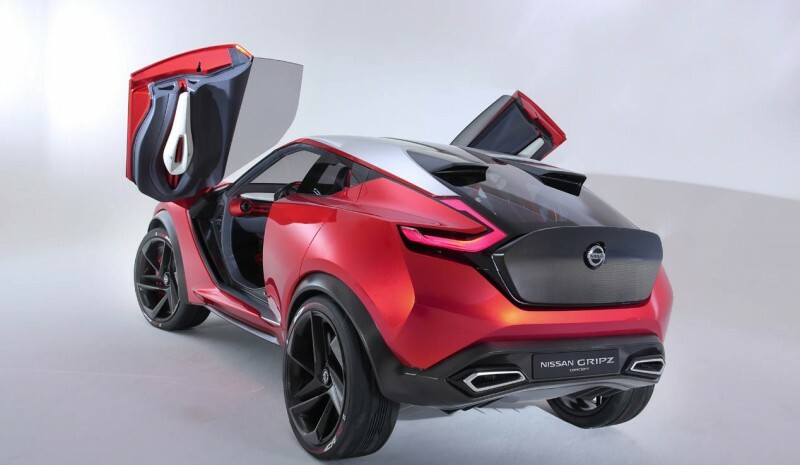 He Nissan Gripz moves a new hybrid system based on their electrical models. A gasoline engine drives the electric, taken from the Leaf, with a maximum power of 80 kW (108 hp) and a pair of 25.9 mkg.